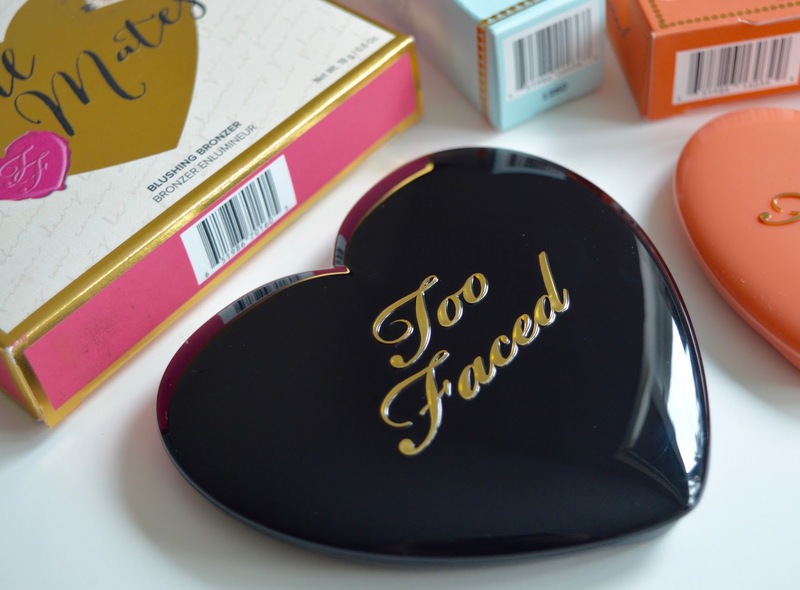 I'm sure most of you will now be familiar with Too Faced or at the very least, have seen them floating around social media due to their uber pretty packaging. I first heard about them years ago when my cousin used to collect their eyeshadow palettes and long before I had established a makeup collection of my own. Having seen them blow up online recently and being an absolute sucker for anything remotely heart shaped or Valentine's Day themed, I thought I'd try them for myself. 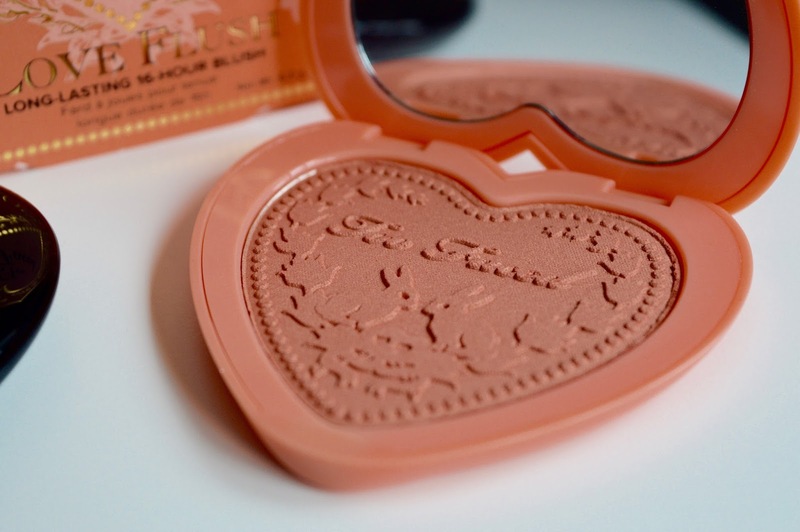 First up then is the Soul Mates Blushing Bronzer in Ross and Rachel. Just look how damn pretty that packaging is though. The Soul Mates bronzer is available in two shades (this one and Carrie and Big - a more orange tone) and is designed to marry together two colours which can be used for contouring or bronzing during those Spring/Summer months. Alternatively, both shades can be used separately to create various looks of your choice. 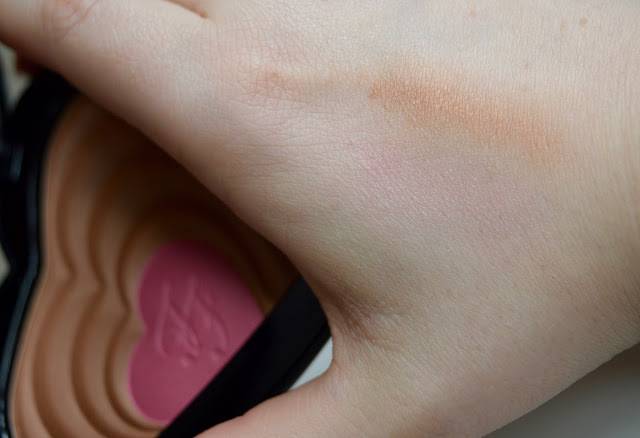 As you can see from my swatches above, neither of the shades are particularly dramatic which was a pleasant surprise as, being so pale myself, I'm always nervous about trying bronzers. It can, however, be easily built up as little or as much as you like to create your desired look. The powder itself seems light and fine which makes for easy blending and application and the slight shimmer also acts as a subtle highlighter. Better yet, I found I only needed a very small amount of product which I hope, means for a longer lasting product. Overall, the packaging alone is a dream whilst the product itself was certainly high quality. At £26, this is definitely more then I would like to spend on a bronzer but I hope that the product will make up for this over more time and usage. 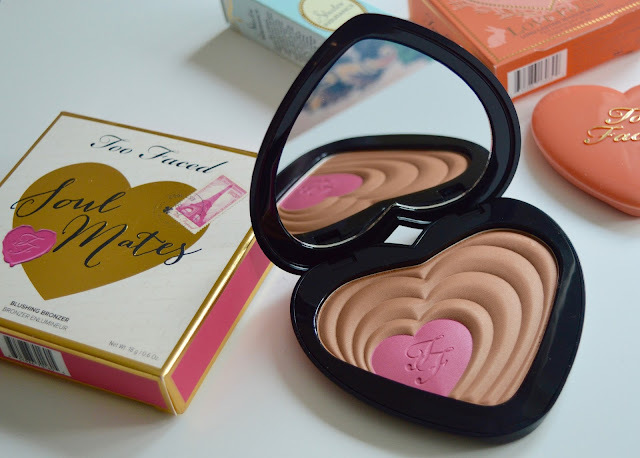 Certainly one of the most iconic of Too Faced's piece is this rather adorable looking blusher, the Long Lasting Love Flush in I Will Always Love You. Available in six different shades, this blusher boasts to be a long-wear, fade-proof, smudge-proof formula keeps your cheeks perfectly flushed for up to "16 hours". The blush itself is made from extra, finer pigments for a lighter finish and maximise colour impact. Although this was a little smaller then I was expecting, I can definitely say that it is indeed long lasting. 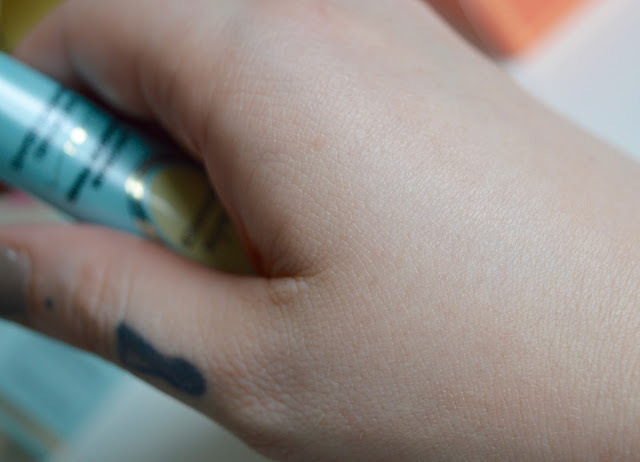 It did need to build up the colour slightly when I applied it to my hand for the swatch but, as a blusher, I was impressed with the shade and how long it lasted. I would definitely recommend using a decent brush to apply this to the face to reduce wastage as the powder can be very fine. 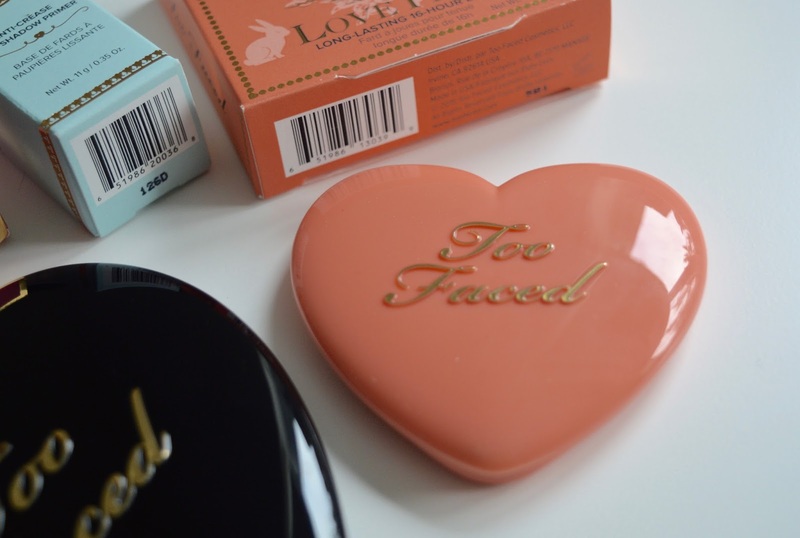 Again, overall, I was pleased with this product even if it was pretty pricey for a small blusher. I love the design and pretty detailing on the blush itself. 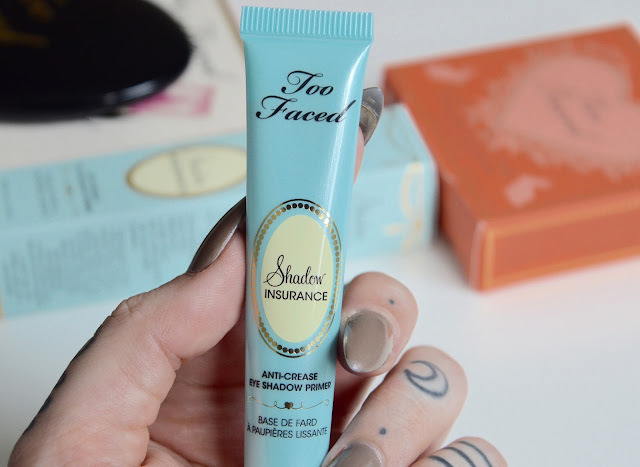 Last but certainly not least is the Shadow Insurance Anti-Crease Primer. One of the brands' bestselling products, it contains a formula that claims to lock down and intensify the colour of eye shadows to ensure crease-proof, fade-proof, waterproof wear "for up to 24 hours". Using a small amount, it can be applied directly onto lids to create a smoother canvas for shadow application, reduce the appearance of creases and lines and a longer lasting makeup finish. This my first experience of a shadow primer and I have to say I can really see the difference having tried and tested it. To my surprise, the formula was not clear but a natural skin tone shade. In terms of texture and smell, it is similar to Benefit's Porefessional primer (which has proven to be one of my makeup bag essentials) but instead it has a very subtle shimmer. Even without eyeshadow, this could be applied to give a very natural looking glow and I love how it feels when applying it to the lids. 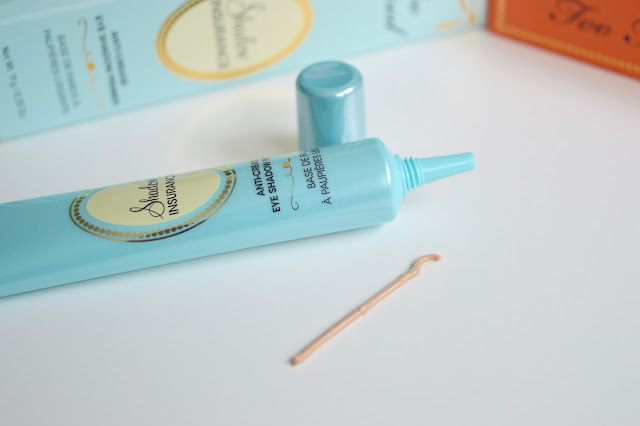 Overall, I'm super impressed with this primer and, despite being a pricier item, it's a lovely item to use sparingly as opposed to everyday use. Overall, I'm definitely a fan of the brand and the quality of their products. I do think, however, that they may be a little of style over substance in that, whilst their products are worth trying and clearly favourable, I would say they're just as good as some brands already on the market. Furthermore, there may be similar products which might actually be ever so slightly cheaper. Their niche then, is their unique style of packaging and pretty product design. Of course, there's nothing wrong with having pretty products to add to the collection and these are certainly the prettiest I've purchased in a long while. 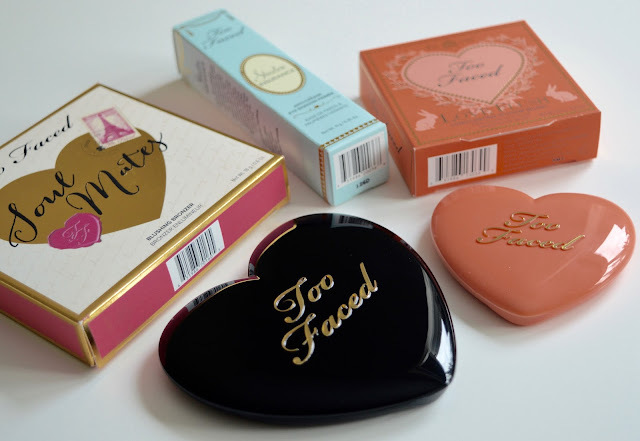 too faced is definitely a brand I need to try more of. I cannot get over how pretty everything looks! They really know how to come up with great packaking. 16 hours for a blusher is pretty impressive! Too Faced is my favourite brand they have the most amazing products! all the packaging is gorgeous! i don't think I've ever seen anything more beautiful! 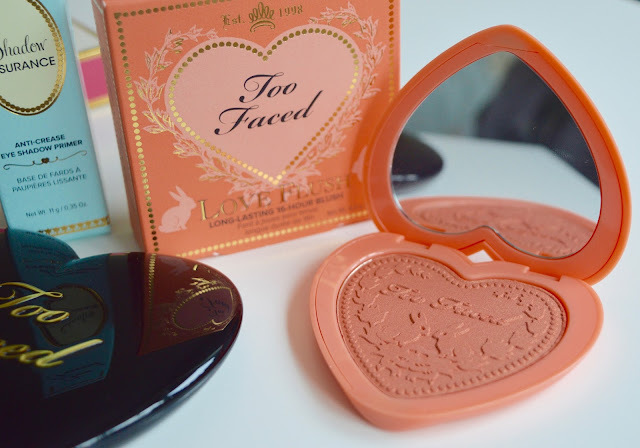 The design of the packaging on the bronzer and blush is gorgeous! 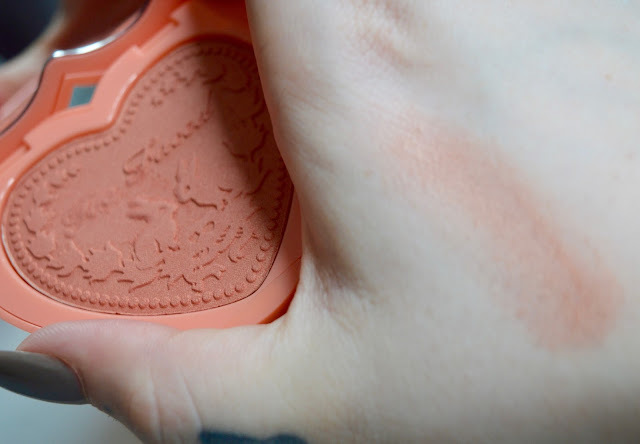 I want this blush, it's just too cute! I've never tried too face before but I'm excited to give it a go! 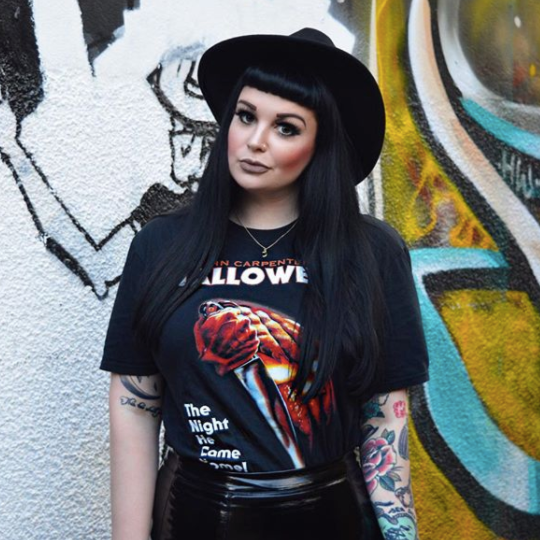 How on earth haven't I found your blog before? I'm literally scrolling like 'yep amazing, and ohh yeah that's amazing' it's all amazing & so pretty! 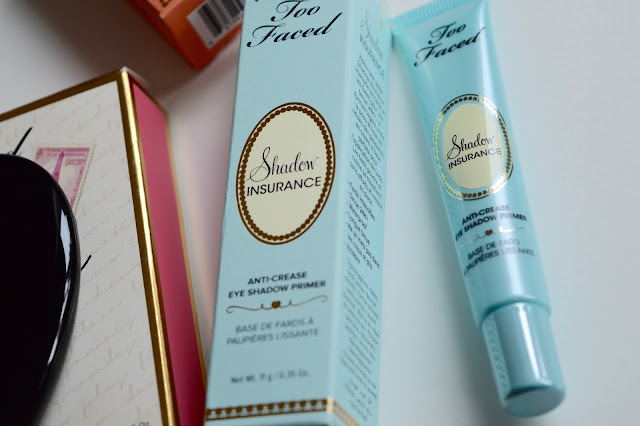 i swear by their mascara and i have one of the shadow insurance primers as well, you've made me want to try all of this now! 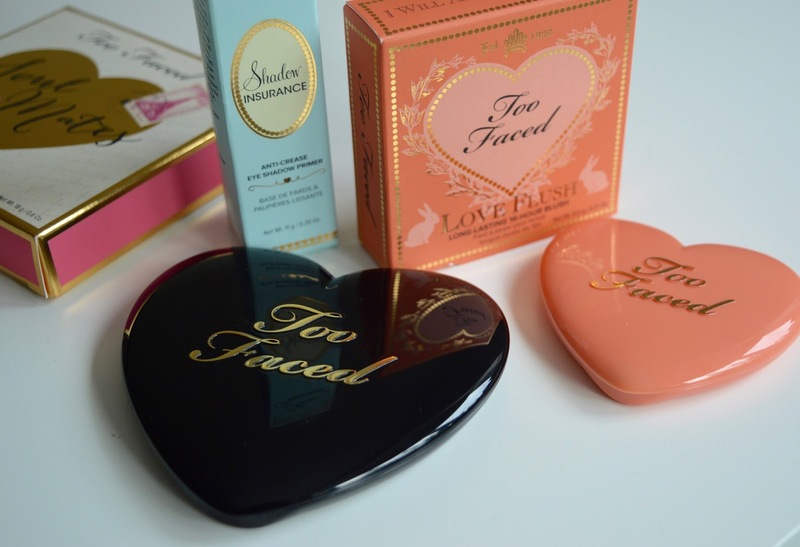 Oh my god, those Too Faced products are beautiful! omg their packaging is so beautiful!! 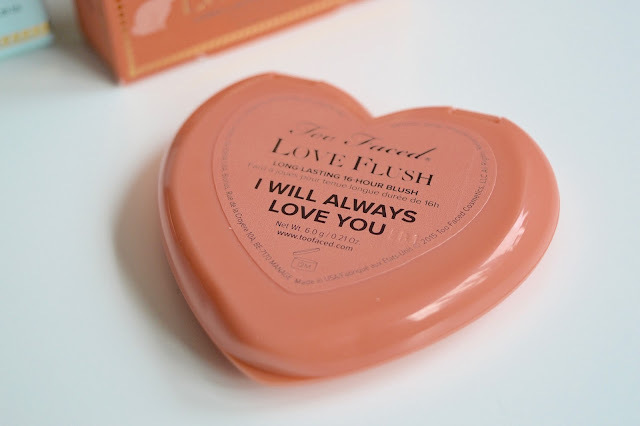 I Will Always Love You is one of my favourite blushes of all time, next to Baby Love! The embossing is just gorgeous.